Photo Mixer is an excellent photo collage designed by Dexati. Whether you set in grid-style or in free form for most precious pictures, you can always design stunning collages with ease. You can apply unique borders, photo backgrounds, text on collages and other photo effects with Photo Mixer. Just download Photo Mixer to create the desired collage accordingly. Compared to Photo Grid and other photo collage applications, Photo Mixer provides some excellent and activate features to design photo collage. Just learn more detail about the program as below. 1. The photo collage provides different templates and grids for 2-6 photos. You can create photo collage with each photo in different photo effects. 2. Beside the fixed grids, you can also create free flow collages. 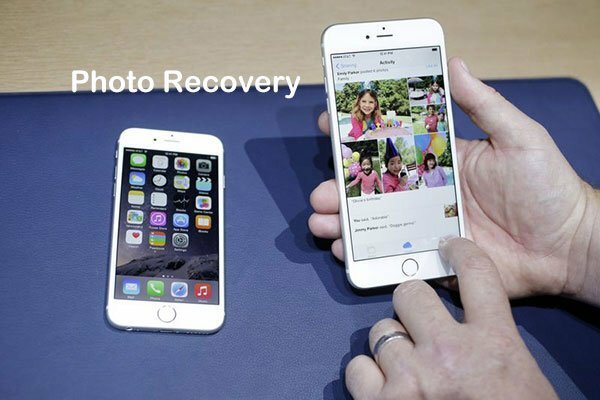 It empowers you to select any number of photos to make free collage. 3. Photo Mixer also enables you to add text to collage in different fonts, colors and sizes. The Text on Photos is saved with Collages. 4. It provides more than 400 stickers with various themes, including Mothers day theme, Fathers Day theme, Love theme and more. 5. 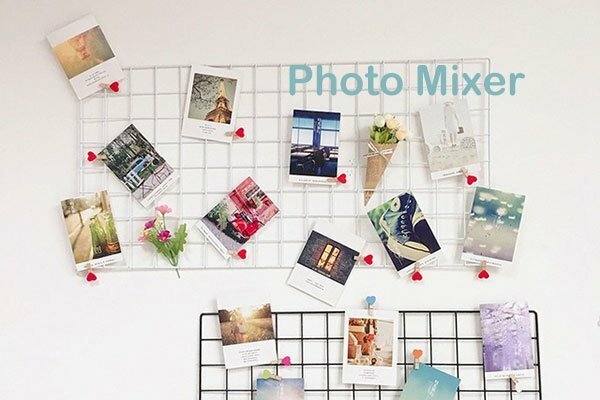 Photo Mixer also provides 4 different types of photo collages, photo frame collages, photo mirror collages, photo filmstrip and design photo collage. 6. As soon as you are happy with your collages and picture creations, you can easily save them and even share them with your friends and family. When you need to create some stunning collages, you can use Photo Mixer to design the desired file accordingly. Just download the program to have a try now. Once you download Photo Mixer from Google Play, you can create free form photo grid with ease. Just learn more detail about how to create photo collage with photo mixer as below. 1. Open the Photo Mixer from your Home screen, and then you can choose the templates for free format. 2. Choose the background template, you can choose the background template according to the color. 3. And then import the photos to the program. Adjust the angels of each photo to create a desired effect. 4. You can add border and text to the photo collage, choose the color and style for the fonts accordingly. 5. If you are satisfied with the collage of Photo Mixer, you can share the photos to the social media account. For there are so much photo collage and photo editor apps on Google Play, why do you choose Photo Mixer to create Photo Mixer instead? Here is my opinion for the program. If you have any query or comment for the app, you can share more information with us. 1. Besides the original photo collages, you can create 4 different types of collages, photo frame collages, photo mirror collages, photo filmstrip and design photo collage. 2. Photo Mixer has the extremely ease to create the desired photo collage with the photo grid as well as free frame. 1. Compared to other photo collage apps, Photo Mixer only provides some ordinary templates and background. 2. The program provides limited styles, templates, color and other resource to design a stunning photo collage. If you are still looking for a program to design photo collage, you can Photo Mixer to learn more detail about the program.